SAN JOSE, CA --(Marketwired - March 06, 2017) - Align Technology, Inc. (NASDAQ: ALGN) today announced Invisalign Teen with mandibular advancement, the first clear aligner solution for Class II correction in growing tween and teen patients. This new offering combines the benefits of the most advanced clear aligner system in the world with features for moving the lower jaw forward while simultaneously aligning the teeth. Invisalign Teen with mandibular advancement offers a simpler, more efficient and patient-friendly treatment option than functional appliances and without the need for elastics typically used to treat teen Class II patients. "20 years ago, Align Technology transformed the orthodontic industry by replacing an analog approach to straightening teeth with a modern digital solution called the Invisalign system," said Align Technology President and CEO, Joe Hogan. "Since then we have continuously innovated with new products and technologies that are revolutionizing orthodontic treatment for doctors and their patients. Today, we are pleased to introduce the first clear aligner solution that improves the treatment experience for tweens and teens needing Class II correction by straightening their teeth and improving jaw position at the same time." "Teen and tween treatment is our biggest opportunity globally, representing 75 percent of all orthodontic cases worldwide," said Align Technology Chief Marketing Officer, Raphael Pascaud. "Approximately 30 to 45 percent of teen cases need Class II correction, so we believe offering a more effective and efficient product for teens patients is really going to help us accelerate our share of teen treatments." In Class II treatments, doctors are aligning the teeth and advancing the lower jaw to improve the patient's profile. 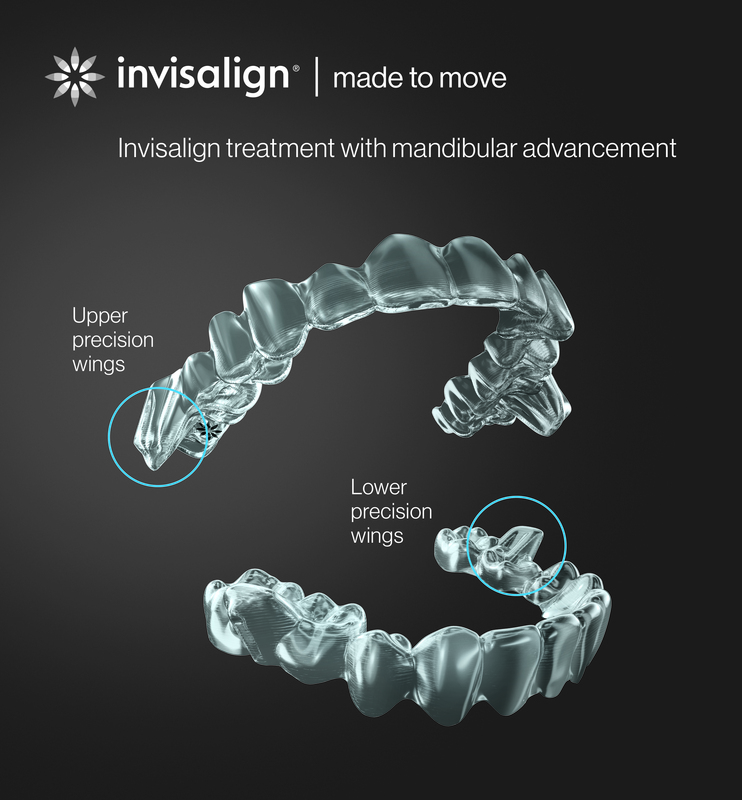 Invisalign Teen with mandibular advancement is designed to replicate the action of commonly used functional appliances for Class II correction through new "precision wings" which hold the mandible in a forward position, while simultaneously correcting malocclusion and crowding issues. Traditionally, doctors usually correct the mandible position and straighten the teeth in separate phases, resulting in a longer overall treatment time. --  Increased patient comfort during treatment. maintain good oral hygiene while in treatment. Dr. Sandra Tai, an orthodontist in British Columbia and participant in Align's mandibular advancement limited release study, said this about the innovation: "Invisalign Teen with mandibular advancement represents an evolutionary, ground-breaking leap forward for the field of orthodontics and clear aligner technology. With this innovation, orthodontists will be able to correct jaw discrepancies in addition to aligning teeth with clear aligners. I am personally thrilled with the results on both the occlusion and facial profile changes for my patients with small lower jaws -- it has been impressive. Patients had a lot of difficulty wearing traditional functional appliances in the past. The addition of mandibular advancement to Invisalign Teen will increase the scope of malocclusions I can treat with Invisalign clear aligners. It is great to be able to offer my patients an appliance that not only achieves superior results, but will help me treat them more efficiently and predictably." Invisalign Teen with mandibular advancement is now available in the United Kingdom and Ireland, France, Spain, Czechoslovakia, Slovakia, Poland, Belgium, Luxembourg, and the Netherlands, with select availability in Hong Kong, Macao, Singapore, and Taiwan. The product will be available starting in late March in Canada, China, and Japan with select availability in Australia and New Zealand, and available in Argentina, Brazil, Chile, Colombia, and Mexico in April. Invisalign Teen with mandibular advancement is pending 510(k) clearance and is not yet available in the United States.